You will find a treasure trove of language arts worksheets on these pages! Need some lined writing paper? No problem! We’ve got all kinds. Some reading comprehension worksheets? We’ve got those, too. Phonics worksheets? Coming right up! Printing practice to get those letters printed really well? Yes, we’ve got those, too. 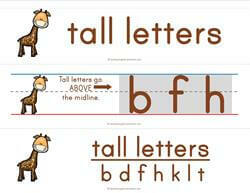 Did I mention sight words flashcards and sight word worksheets? There are lots of those, too. So step right up, take your pick and then come back for more. You will find a treasure trove of math worksheets on these pages! 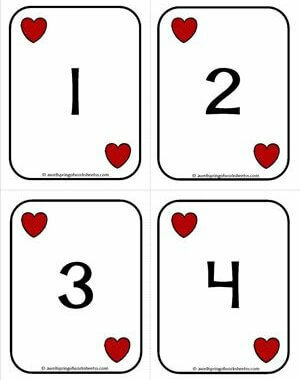 Need some counting worksheets? No problem! We’ve got all kinds. Some addition worksheets? We’ve got those, too. Geometry worksheets? Coming right up! 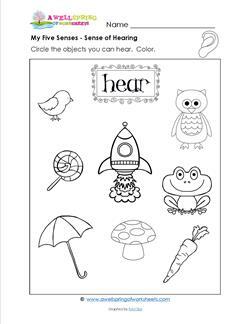 Telling time worksheets so your kids know what time it is? Yes, we’ve got those, too. Did I mention addition and subtraction flashcards and worksheets? There are lots of those, too. So step right up, take your pick and then come back for more. You will find a good number of social studies resources on these pages for kindergarten. 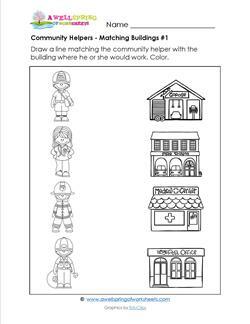 At this time they include the topic of community helpers. You’ll find vocabulary cards, flash cards, and I Have Who Has game, a matching game, puzzles, job description worksheets, and more! You will find a good number of science worksheets on these pages! At this time the topic we cover is the five senses for kindergarten. The 5 senses books, vocabulary cards, matching, & read, write, build and draw worksheets.